What Makes a Lager Different than an Ale? Lagers are everywhere. This popular style of beer is the most common brew in the world and differs from ales because of its brewing techniques that result in a crisp, refreshing beer profile. 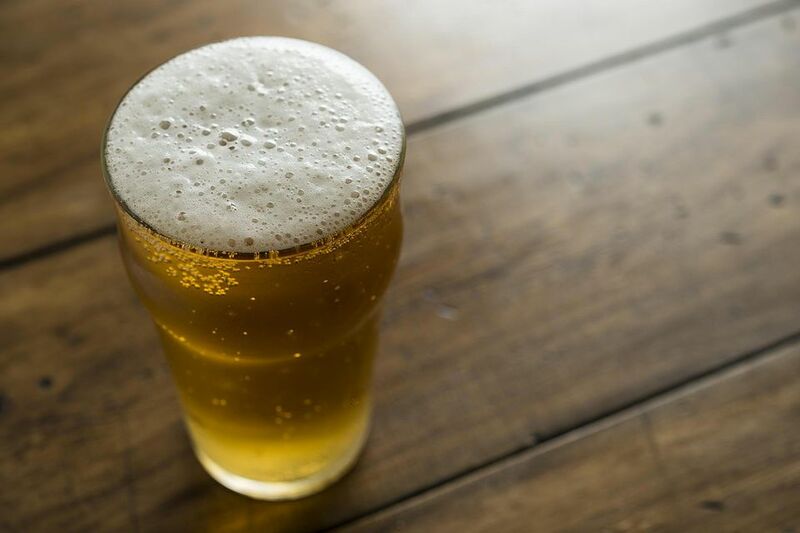 Lagers include many of the most popular beers in America, including Budweiser, Busch Lite, Coors, Miller Genuine Draft, and PBR. However, the style goes far beyond those big names and includes all of the great Bavarian pilsners, the bocks and dunkelbiers, and, of course, Oktoberfest. The primary definition of a lager is that it is a bottom-fermented beer. This means that the yeasts used to ferment the beer flocculate, or gather, at the bottom of the fermentation tank. Ales are just the opposite and use yeasts that are top-fermenting. Lager yeasts can also tolerate much lower temperatures than yeasts used for ales. Typically between 45-55 degrees Fahrenheit (7-13 degrees Celsius), these lower temperatures reduce the number of by-products during the fermentation stage and produce a cleaner, crisper beer. The more tolerant lagers can also handle longer aging times than ales. Called lagering, these beers can be aged for months at much lower temperatures (54-57 degrees Fahrenheit or 12-14 degrees Celsius), often called cellar temperature. Brewing alcoholic beverages has been a human practice in almost every culture over the last 4,000 years. Hops were introduced to the process in 1000 A.D. and until the 16th-century almost every beer brewed was an ale. Lagers were discovered by accident in the 150's. Beer with cold-resistant yeast was stored for months in cool caverns, found to produce this crisper beer that we are so fond of today. Even in a historical lager-brewing region like Bavaria, the famous hoppy German Pils are a 19th-century discovery. The other famous Czech and German lagers are not much older than that. Lagers are a much tighter group of beers than ales. While there are countless styles of ale, there are only a few styles within the lager family. Not all lagers follow the characteristic pale, transparent color and flavor of the pilsner. Bocks have a great barley flavor and can range from amber to dark brown in color and Oktoberfest and dunkelbiers are known for their malty flavors. Lagers tend to have a light, crisp taste. Lagers often have a higher carbonation than ales. The flavor of a lager is generally mellow, smooth, and well-balanced. Lagers are noted for being less bitter with a lower IBU. With very few exceptions, it is generally recommended that lagers be served cold. In fact, it is the popularity of those American pilsners that have bars and convenience stores throughout the country fighting for the local title of "Coldest Beer in Town." Though most lager is best nice and cold, the bocks(including dopplebock and eisbock) are often best when served closer to room temperature. As with any beverage, it is best to use your personal preference when enjoying any beer. Try the recommendations, but if they don't work for you and that particular style, then there is no use in sticking with it. Drink what you like, how you like it.